SAN FRANCISCO, CALIFORNIA Kaiser Permanente's new flagship facility in San Francisco introduces a new standard of excellence for all future facilities, reflecting the system's wellness initiative, "Thrive". 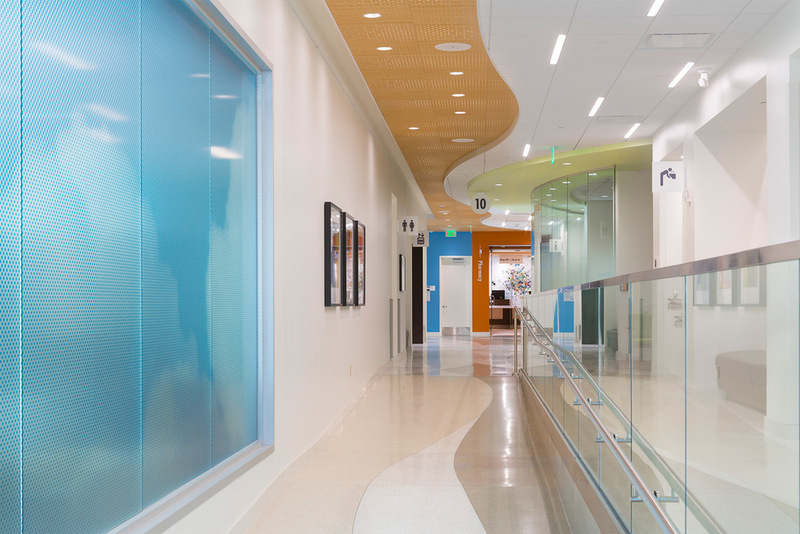 KMD's scope included full medical planning, architectural design, architectural interiors, HVAC, electrical, plumbing, data and low voltage systems fit-out. 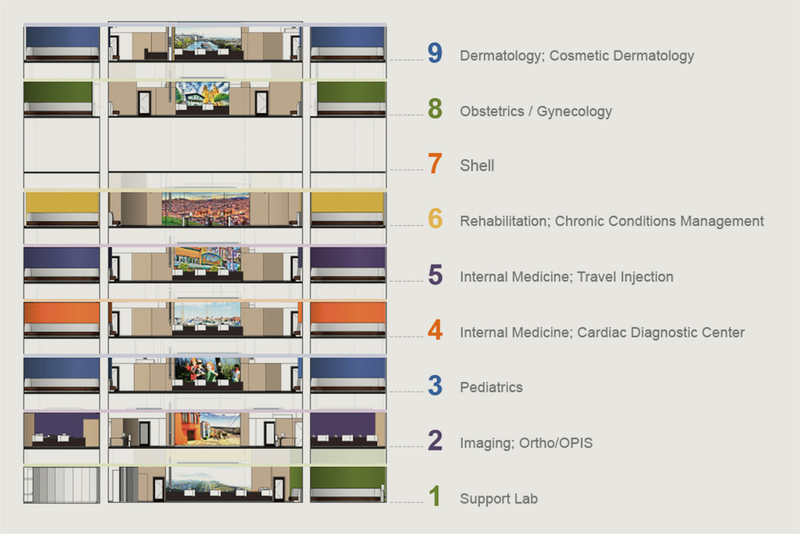 Services within the building include Pediatrics, General Medicine, Radiology Obstetrics and Gynecology, as well as patient-focused retail and ancillary functions such as pharmacy, laboratory and optical services. 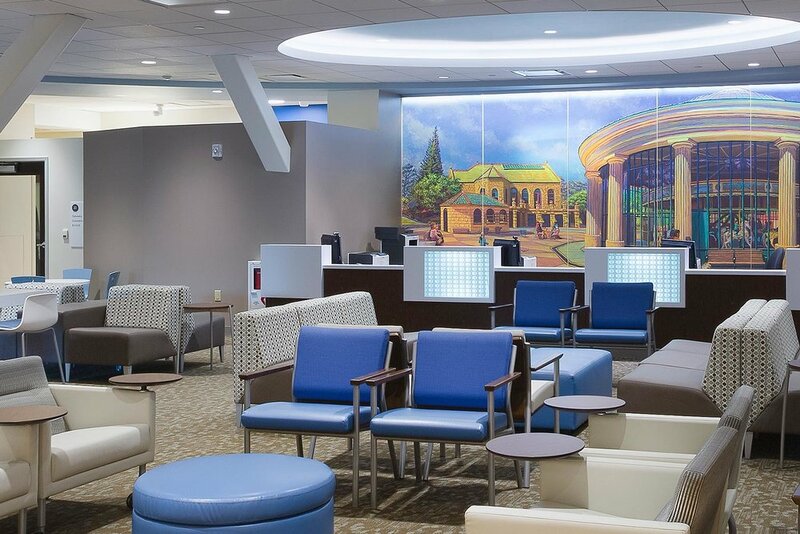 The Project Delivery method selected was Design-Build, in collaboration with The Whiting-Turner Contracting Company. 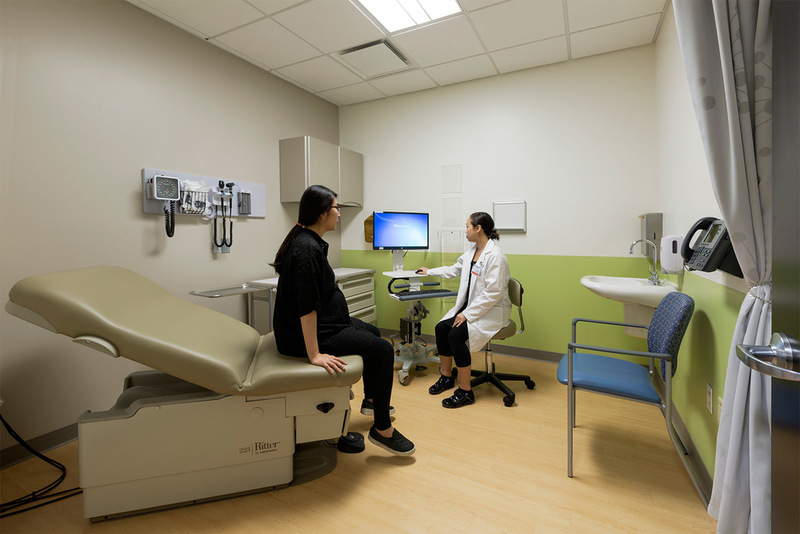 KMD collaborated with Kaiser leadership to explore improvements to time honored operating parameters by introducing hoteling offices for rotating medical staff, facilities for telemedicine and modifying ratios of providers to exam rooms and patients served. Each floor features mural artwork by Anthony Holdsworth depicting San Francisco neighborhoods.